Sun, water, heat, and beach are the defining words of running in Miami. Considering the weather and the unique geography, Miami should be a running mecca, but finding good routes takes a little doing. Running options downtown are limited. 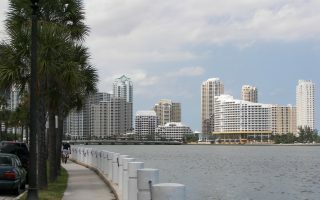 Most of the ‘iconic’ runs in Miami incorporate the beach, or some of the unique bridges that connect the city to other pieces of land. 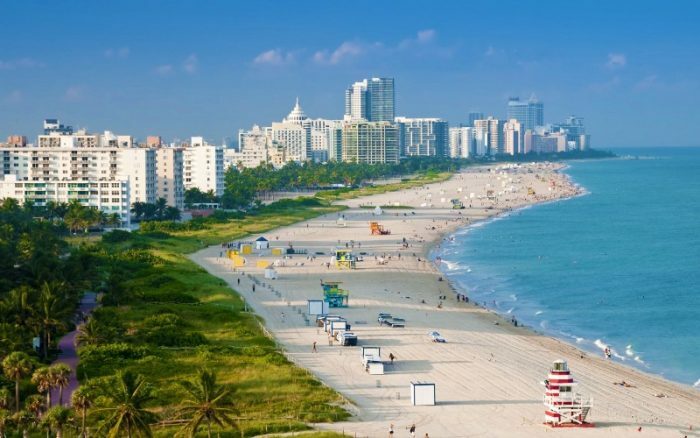 This is our guide to the best places to run in Miami, Florida. Note also: we have detailed running guides for Ft. Lauderdale/Hollywood, The Keys, Palm Beach, more. 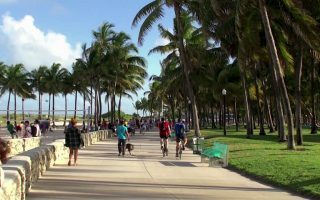 The highlight of Miami running is the several miles of paved running path along Miami beach, with great views of the water and skyline, and always festive with lots of other folks out there. The Key Biscayne area has some wonderful running. 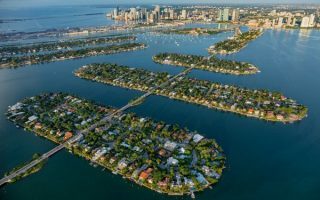 Coconut Grove area, 5 miles south of downtown is also a highlight. 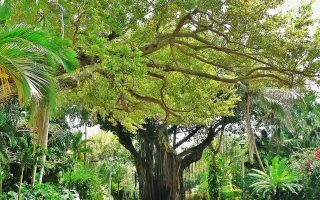 Crodon Park and Oleta River Park are some good running options a little inland. We’ve also included an overview of the best places to run in Everglades National Park, the closest point of which is 40 miles from Miami. Miami is very flat. Not the place for hill training. The weather is great. Sunny nearly every day. Given the strong sun, heat, and humidity, you’ll have to calibrate when you run, and pay extra attention to hydration. 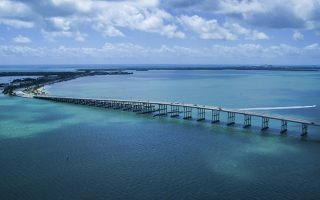 Key Biscayne is an island connected to the southern part of Miami, connected by the Rickenbacker Causeway. 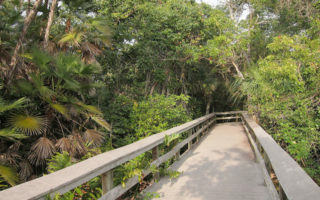 Two best runs are over the Causeway via a path, trails and beach in Crandon Park, and Virginia Key, with 4+ miles of trails. There are no major parks or running trails in the immediate vicinity of downtown. The best bet is the Brickell area, getting down to scenic Brickell Key. There are several bridges and long causeways connecting the unique geography of the Miami area. 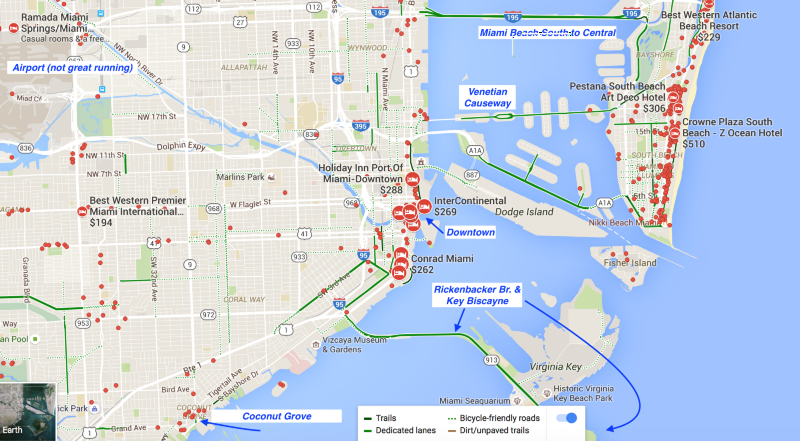 The most interesting and runnable one is Venetian Causeway, which is 3 miles one way between Miami and Miami Beach. At 1,043 acres, this is Florida’s largest urban park. There are 14 miles of recreational trails, highly used for mountain biking. Best bet option for runners is the 3-mile paved trail or the 4-mile ‘novice’ biking trail. Pleasant spot for a run, 4 miles north of downtown Miami and near I-195. About 1 mile of shaded, paved trails in the park. Nice water views as well. The residential neighborhood just west of the park is nice for running. 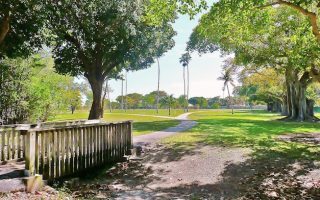 A nice option connecting some of the pleasant street, paths, and parks of Coconut Grove. Start at Peacock Park and run through Kennedy Park, about 3 miles to Brickell, and back. National Park southwest of Miami with 1.5 million acres of wetland. Some of the best spots for running are the Shark Valley Bike Trail, Pinelands trails, and the Flamingo area trails. Miami has a tropical climate, so heat and humidity are factors. It is sunny nearly every day. The best season for running is winter, with average highs of 75F in January. 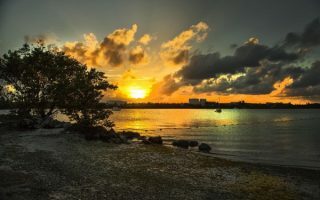 From May through October, Miami’s weather is hot–average highs around 90F (32C) and lows rarely dipping below 70F (21C). It is also very humid, nearly year-round. In the warmer months, you will have to be aware of the sun and heat — try to run early in the morning or in the evening. Being close to the equator, day length is evenly distributed throughout the year. Precipitation-wise, Miami gets 60+ inches of rain a year. Winter is dry season and there is rarely all day rain. In summer, it’s tropical, with rain or thunderstorm nearly an almost daily occurrence. There are tons of hotels in Miami. 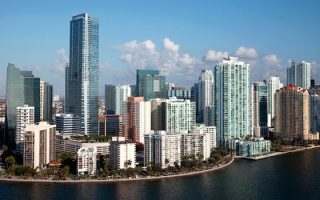 There are particular clusters in downtown Miami, and along stretches of Miami Beach. If you are at a downtown hotel, the running options aren’t great. Most folks point you to Brickell. But it’s not seamless or all that runner friendly, in parts. Miami Beach is very spread out. There are hotels all along the way, but a good cluster near running is South Beach. There are also hotels in the heart of Coconut Grove. There is a good number of locally owned running stores in Miami. Here is a break down by area. Runners’ Depot. Good local store around for 15 years.